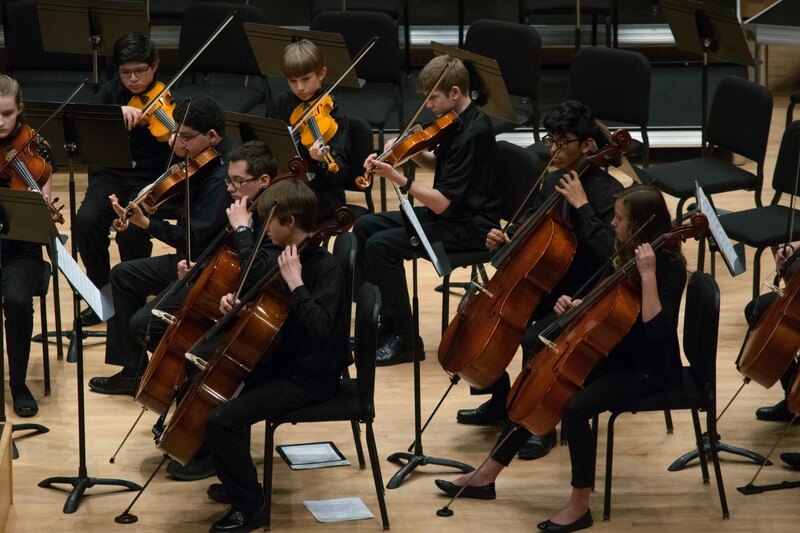 The Elkhart County Youth Honors Orchestra (YHO) has a long tradition of excellence in Elkhart County, launched by the Elkhart County Symphony Association and currently housed at the Goshen College Music Center. There are two orchestras: the Youth Honors Concert Orchestra for strings (grades 7-9), and the Youth Honors Symphony Orchestra for strings, brass, woodwinds, and percussion (grades 9-12). Rehearsals for YHCO are held on Tuesday evenings from 7:00-8:15 p.m.; rehearsals for YHSO are held Sunday afternoons from 2:00-4:00 p.m., leading up to concerts in November and May. To participate in the YHO, students will need to audition and bring the completed YHO Registration Form to their audition. 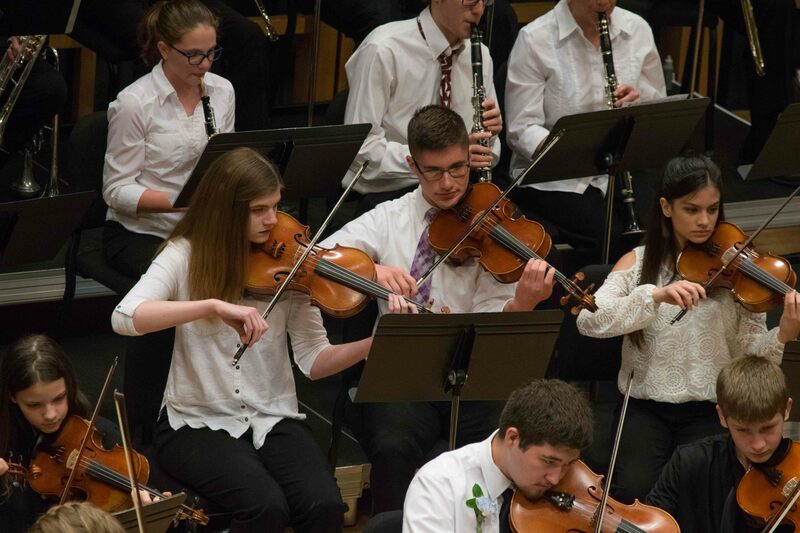 Spring 2019: The spring semester of YHSO begins Sunday, January 13, 2019 from 2:00-4:00 p.m. in Goshen College Music Center Room 150. YHCO begins Tuesday, January 15, 2019, 7:00-8:15 p.m. in Goshen College Music Center Room 150. Fall 2019: The Fall semester for the CSA will officially begin the week of August 19. Tentative start dates for YHO are Sunday, August 25 (YHSO), and Tuesday, August 27 (YHCO). For more information about the Youth Honors Orchestras, please contact CSA Director Dr. Mary Rose Norell at yho@goshen.edu or (574) 535-7849. Participation in YHCO is open by audition to any interested Elkhart County string students in grades 6-9; participation in YHSO is open by audition to any interested string, woodwind, brass, or percussion student in grades 9-12. To schedule an audition at Goshen College or at Area Schools: Please contact CSA Director Dr. Mary Rose Norell at yho@goshen.edu or (574) 535-7849. The YHO Registration Form can be downloaded here.